Russian anti-virus vendor Kaspersky Lab’s campaign to counter the damage to its reputation and its revenues inflicted by the US and other governments in recent months rolled into Sydney this week, with the company holding a press lunch to flesh out details of its recently announced plans to open a ‘transparency centre’ in Switzerland. The company also revealed details of collaboration with Swinburne University of Technology along with its plans to open a Sydney office. Kaspersky announced in May that it would move core infrastructure from Russia to Switzerland, and that, by the end of 2019, data from customers in Europe, North America, Japan, Singapore, Australia and South Korea would be stored and processed in Zurich. The new transparency centre will be the first of several the company plans to open around the world. 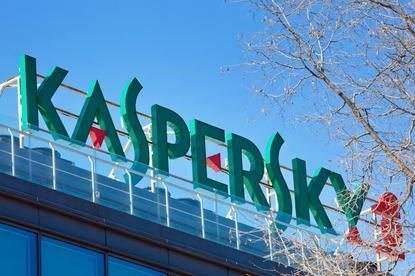 The move followed the US Department of Homeland Security, in September 2017, ordering civilian government agencies to remove Kaspersky software from their networks within 90 days, citing concerns that the software could enable Russian espionage and threaten national security. US retail giant Bestbuy followed the government’s lead by removing Kaspersky software from its online and retail stores. Kaspersky launched a legal challenge — still in progress — to the US government’s actions. Stephan Neumeier managing director, Kaspersky Lab, APAC, said that as result of the ban, Kaspersky’s business in the US was now “in terminal decline,” but the company was doing well elsewhere. “In Europe we are experiencing double digit growth and in all the emerging markets — Latin America, Middle East, Arica, Asia we are achieving double digit growth. Neumeier blamed the US government ban not on genuine fears about subservience to the Russian government but on Kaspersky’s practice of ‘outing’ cyber threat actors whether private or state affiliated. And, he said, “customers can also have visibility into our source code, which is important for most of our customers.” However with some 3 million lines of code, it is debateable whether any inspection would be able to detect any ‘back doors’ in the software. Anton Shingarev, vice-president for public affairs, Kaspersky Lab, said the company was looking to create a consortium of universities to undertake this mammoth task. He said the checks and practices to be implemented in the centre were all aimed at reducing risk, reassuring governments and customers that Kaspersky software was secure and had not been compromised. Kaspersky has signed a memorandum of understanding with Swinburne University of Technology that it says will “support cybersecurity education and bridge the country’s skill gap. The company said the focus would be on enhancing cybersecurity education in the school curriculum, allowing Swinburne to benefit from a “Train-the-Trainer” programme that promotes regular exchange of information such as industry insights and best practices. An Australian government report in 2017 estimated that Australia would need another 11,000 cyber security specialists over the next decade. Kaspersky said its research showed that one third of organisations placed improving their in-house security expertise among the top three priorities of their IT security investment. Kaspersky has signed similar MoUs with Singapore Institute of Technology, Singapore University of Technology and Design and Temasek Polytechnic.